Student Council provides a great opportunity to become more involved in your school! The OCES Student Council represents the voice of our students. 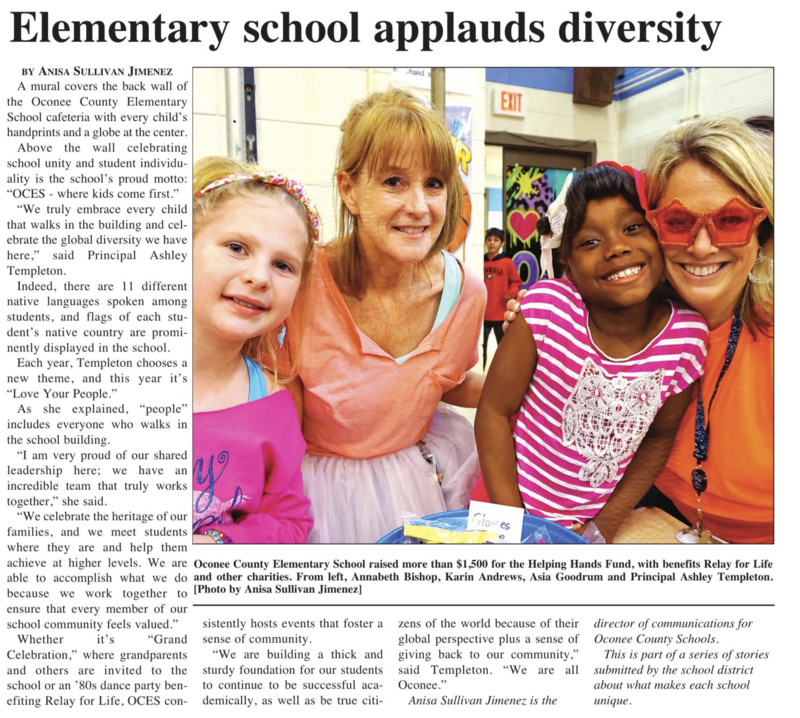 The OCES Student Council is sponsored by the OCES counselor, Cindy Murphy. Student Council is responsible for a variety of school events including planning schoolwide service projects, selling Candy Grams, assisting with the ACTS food drive, and fundraising for Relay for Life event which benefits the American Cancer Society. Student Council representatives are elected in each 4th and 5th grade homeroom. Students serve a one year term as a representative. If students are interested in becoming a representative, their teachers have more information.